Next fall, Majd Abdulghani will join the University of Oxford as Saudi Arabia’s first Rhodes Scholar. Sitting in a coffee shop in Ann Arbor on a cold, gray winter morning, Abdulghani says she never thought it was possible. To date, Abdulghani’s journey has taken her from Saudi Arabia to Ames, Iowa, and now to Ann Arbor. Next year, it will take her to England as she joins 100 other Rhodes Scholars chosen from across the world for their academic excellence, mastery in extracurricular areas, moral character and leadership ability. The scholarship only became available to students from Saudi Arabia this year and is funded by Muhammad Alagil, chairman of the Jarir Group. Abdulghani first caught the world’s attention as a 19-year-old teenager living in the Saudi capital city of Riyadh, where she recorded a podcast about her life as a young woman in Saudi Arabia. 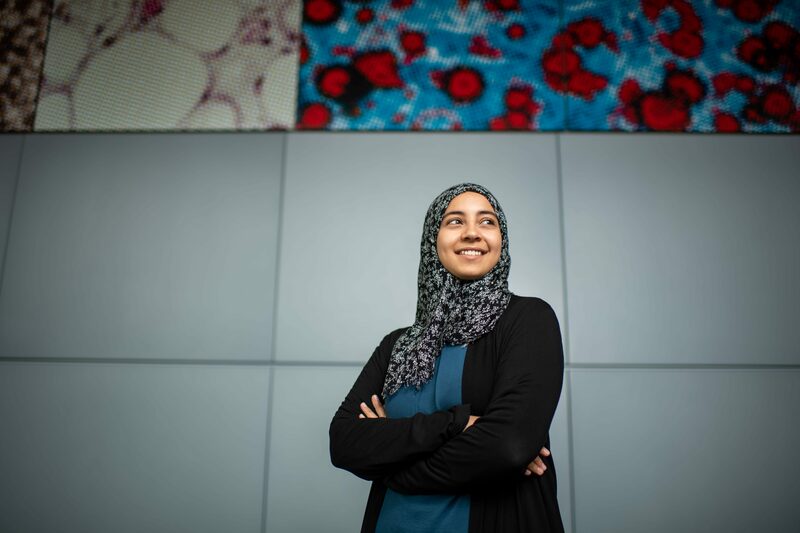 The podcast reflected Majd’s missions of dismantling stereotypes associated with Saudi Muslim women and inspiring girls across the globe to pursue science. She recorded more than 100 hours over two years, interviewing family members and friends. Her recordings, “Majd’s Diary: Two Years in the Life of a Saudi Girl by Radio Diaries,” aired on National Public Radio and has won several national awards. Although she found the large listening audience intimidating at times, she found the experience valuable because it connected her with people across the globe. Abdulghani ended her podcast on the day of her wedding. 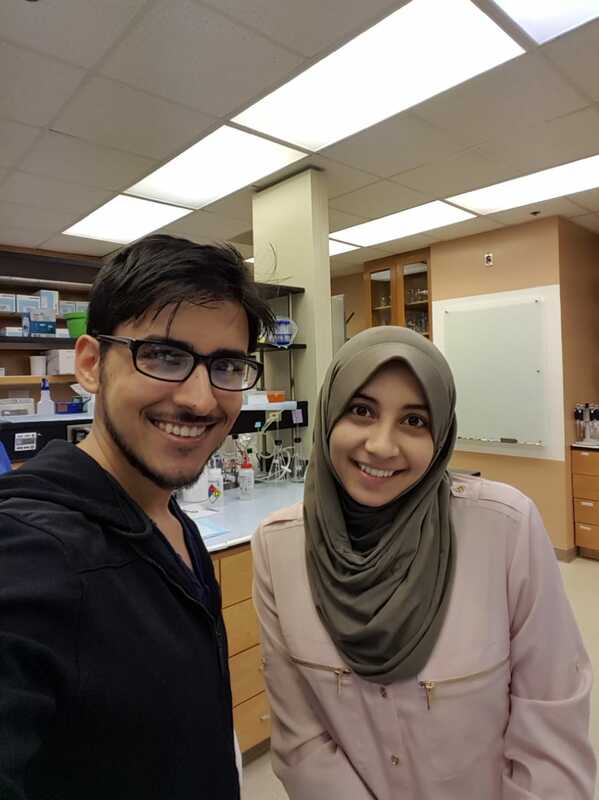 One of the people who reached out to Abdulghani after listening to her podcast was Vivian Cheung, a research professor at the Life Sciences Institute, who wanted to help her pursue her dreams. 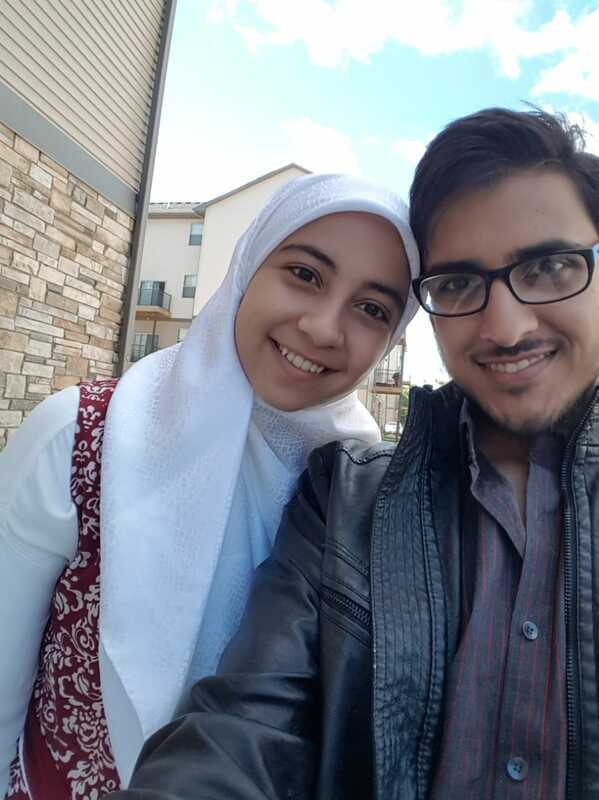 Cheung stayed in touch with Abdulghani as she went to Iowa State University to follow her husband, Anmar Arif, who is finishing his doctorate work in electrical and computer engineering. Abdulghani started her master’s program in genetics, development and cell biology in 2016. 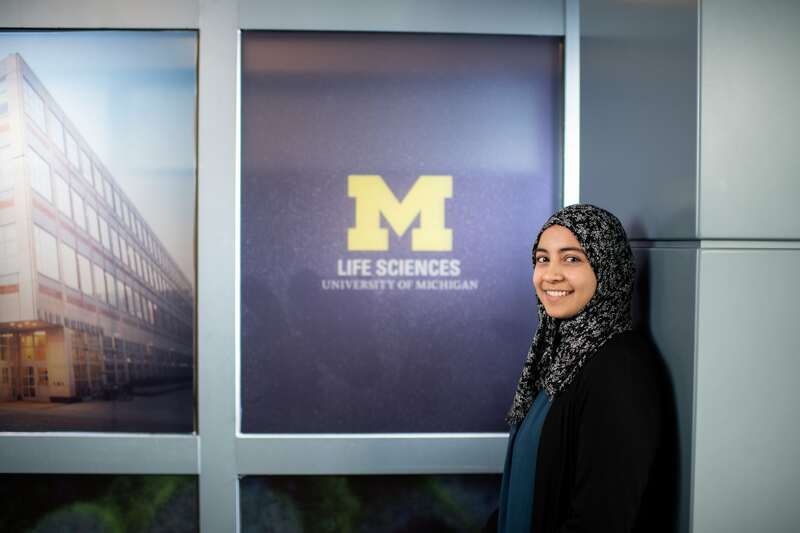 After her graduation, Cheung offered Abdulghani a job in her lab at U-M.
“Right now, I am living my science dream,” said Abdulghani, who is working on how RNA sequence and structure. Working in Cheung’s lab has shown her the possibilities in genetics. Abdulghani is now focusing on how RNA affects genes expression. “Our genes are coded in DNA, but for them to be expressed, they have to be converted to RNA which is then translated to protein,” she said. The research, she said, can help with preeclampsia, a pregnancy complication characterized by high blood pressure and protein in the urine, and potential damage to other blood and organ systems. Abdulghani, who was chosen from among 600 applicants for the scholarship, said that she gets her tenacity from her mom who is a professor of wireless networks in Saudi Arabia. Abdulghani hopes to follow in her footsteps and go back to Saudi Arabia after her doctorate work at Oxford. Abdulghani’s mentor Cheung said there are not enough women and other minorities in leadership positions in science.